The trendsetting style of the Aravon Lexee Binded Bootie will make sure you stay ahead of the curve. This stylish bootie features a smooth leather upper with a suede trim with a medial zipper for easy on and off. Enjoy a pair today! Nubuck leather plus the new roller bottom with double side zippers update our Chelsea, ankle bootie. True to size with a 1.25 inch rubber roller bottom, super soft, faux fur lining and removable gel insert. Leather uppers and linings. Whether you like to wear them tall or small, there is no need to compromise with the Fly London Yex668Fly cuffable wedge bootie. Buy your pair today! Please note: On the bottom of the shoe is will show M followed by the size. The M stands for Men~s, not a Medium size. Casual, slip-on comfort bootie. 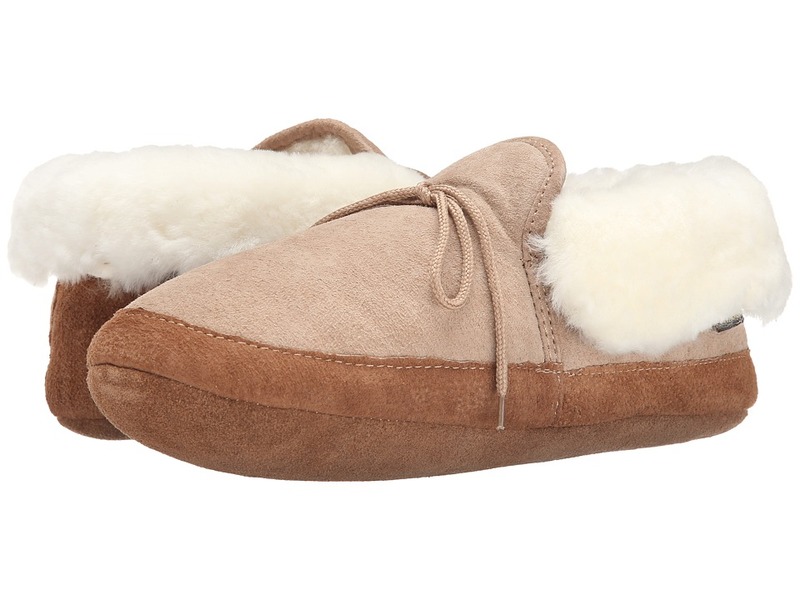 Soft, genuine 100 percent sheepskin uppers. Soft sheepskin lining. Quick and easy slip-on comfort. Hook-and-loop fastener for a perfect fit. Imported. This product contains real fur from Sheep or Lamb. Fur Origin: Australia. Real Fur has been artificially dyed and treated. Measurements: Weight: 11 oz Product measurements were taken using size 8, width D - Medium. Please note that measurements may vary by size. Weight of footwear is based on a single item, not a pair. Casual, slip-on comfort bootie that cinches up securely. 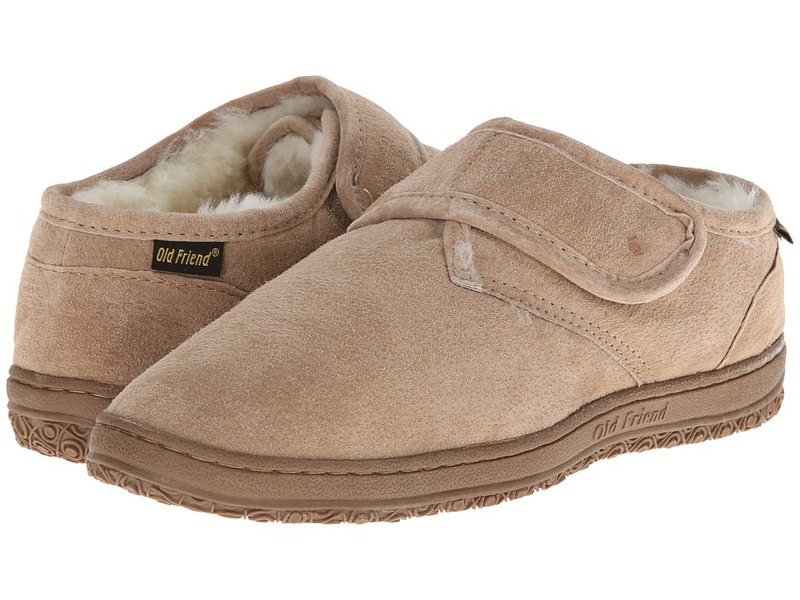 Soft, genuine 100 percent sheepskin uppers. Plush fleece lining. Insole is 100 percent high-grade sheepskin. Quick and easy slip-on comfort. Imported. This product contains real fur from Sheep or Lamb. Fur Origin: Australia. Real Fur has been artificially dyed and treated. Measurements: Weight: 6 oz Product measurements were taken using size XS (US Men~s 4-5, US Women~s 5-6), width Medium. Please note that measurements may vary by size. Weight of footwear is based on single item, not the pair. The famous Acorn Slipper Sock has been warming the feet of astronauts since 1982. 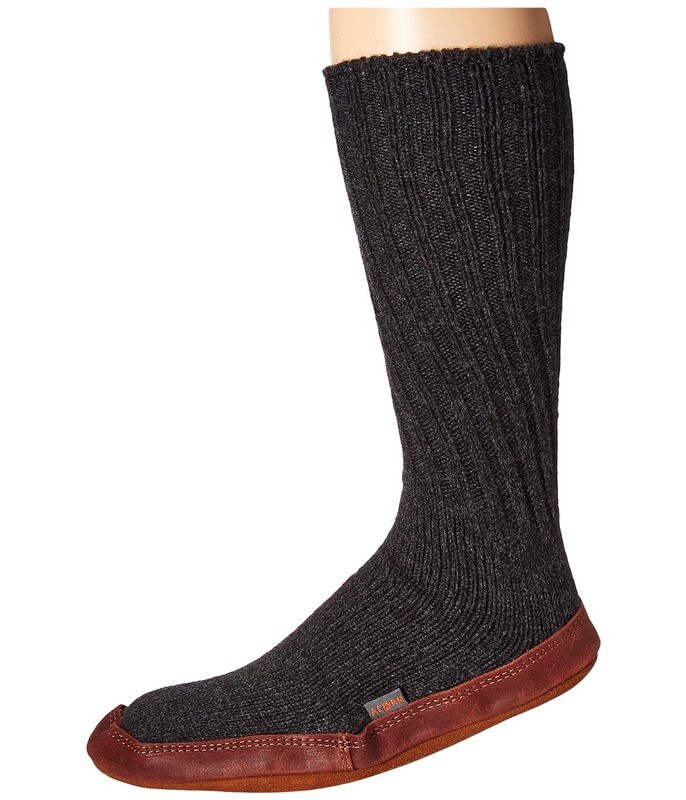 Wool and cotton fabric upper with knit sock design offers comfort and warmth for a cozy feel. Memory foam footbed over a comfort cushion EVA midsole gives your feet the relaxation they deserve. Durable leather outsole offers grip indoors and out for to guarantee sure-footing. Washing Instructions: Hand wash cold, air dry. Measurements: Weight: 6 oz Shaft: 11 1 2 in Product measurements were taken using size 2XS (US Women~s 5-6), width Medium. Please note that measurements may vary by size. Weight of footwear is based on a single item, not a pair. Rubber upper with a thermic fit. 4-way stretch bootie. 5mm of insulating foam with a sock-like fit. Breathable Ortholite premium insole: an open cell PU foam that~s 95-100 percent breathable, odor resistant, and anti-fungal. Bogs Performance Outsole: all purpose traction that releases mud and crud. Internal TPU shank provides a stable foundation. Imported. Weight of footwear is based on single item, not the pair. 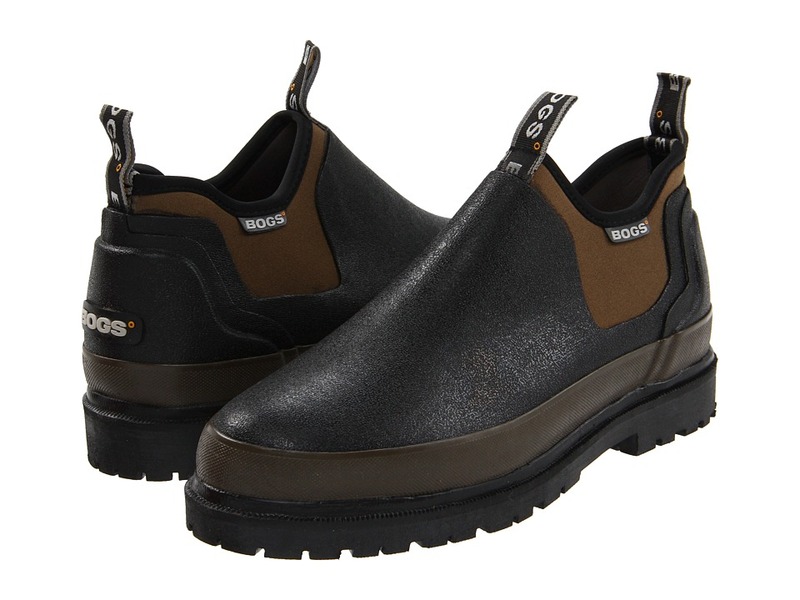 Move around with ease this season with the Classic High work boot by Bogs. 100 percent waterproof. Rubber upper with a thermic fit. 4-way stretch bootie. 7mm of insulating neoprene rubber. Odor resistant and anti fungal removable insole. Bogs Performance Outsole: all purpose traction that releases mud and crud. Internal TPU shank provides a stable foundation. Temperature Rating: -40 &amp#176F. Measurements: Weight: 2 lbs 1 oz Circumference: 16 1 4 in Shaft: 12 in Product measurements were taken using size 9, width D - Medium. Please note that measurements may vary by size. Weight of footwear is based on single item, not the pair. 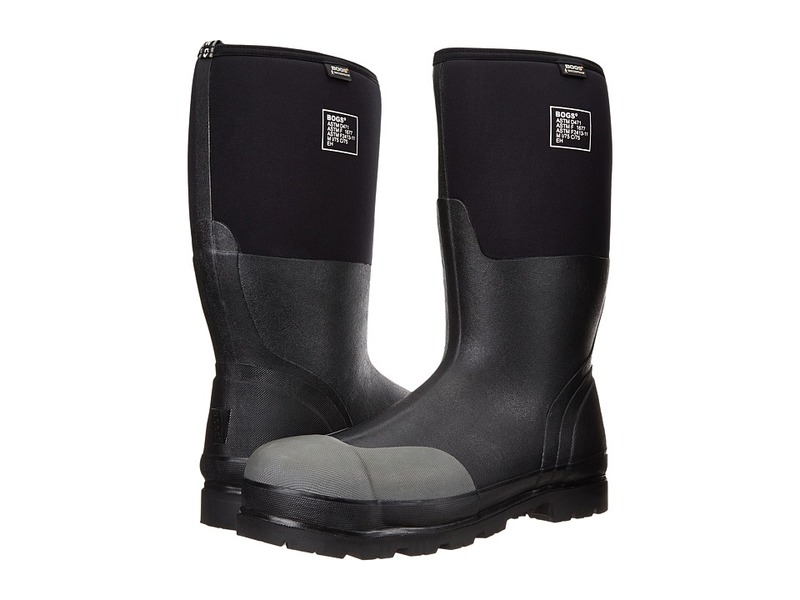 The Bogs Classic Mid work boot will keep you comfortable and dry through every activity. Natural hand-lasted rubber. 4-way stretch internal bootie. 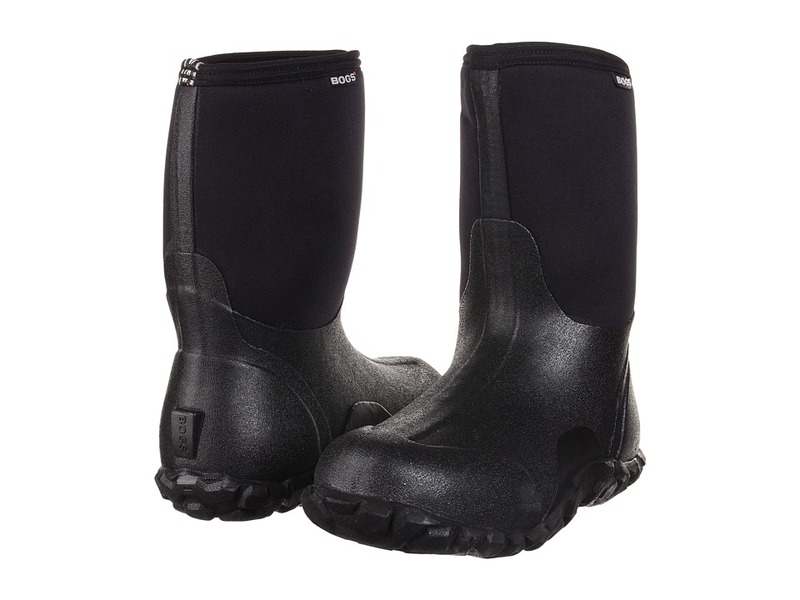 Features 7mm four-way stretch Neo-Tech&amp#8482 insulation. Cushioned insole with DuraFresh biotechnology that activates to fight unwanted odors for a fresher foot environment. Internal TPU shank provides a stable foundation. 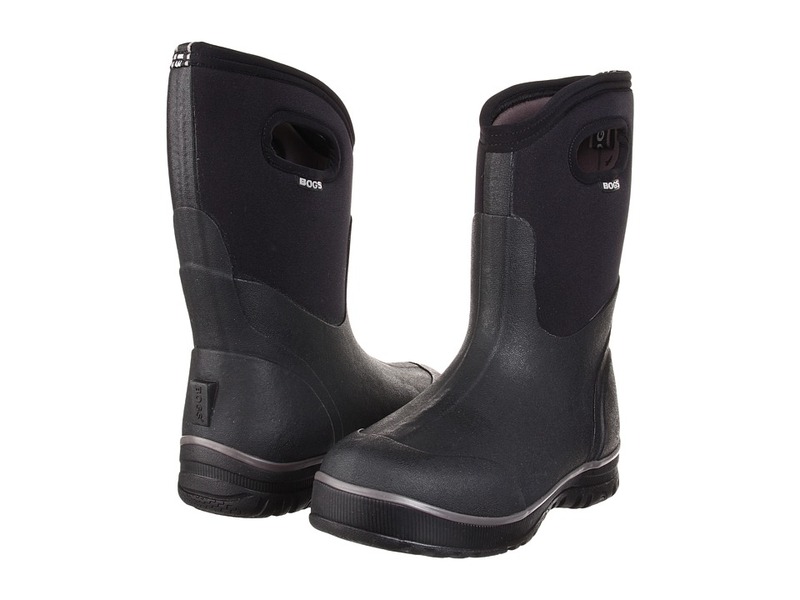 Non-marking rubber outsole provides all-purpose traction with self-cleaning lugs. Comfort rated to -40&amp#176F / -40&amp#176C (conversion temps are correct.) Imported. Measurements: Weight: 2 lbs 6 oz Circumference: 16 in Shaft: 10 in Product measurements were taken using size 12, width D - Medium. Please note that measurements may vary by size. Weight of footwear is based on single item, not the pair. Designed to handle all the dirt and mud Mother Nature can throw at you. Constructed from durable hand-lasted rubber. Flexible four-way stretch bootie. 7mm of insulating neoprene rubber. Odor resistant and anti fungal removable insole. Bogs Performance Outsole: all purpose traction that releases mud and crud. Internal TPU shank provides a stable foundation. Temperature rated to -40&amp#186F. Imported. Weight of footwear is based on single item, not the pair. Rubber upper with a thermic fit. 4-way stretch bootie. 7mm of insulating neoprene rubber. Odor resistant and anti fungal removable insole. Internal TPU shank provides a stable foundation. Bogs Performance Outsole: all purpose traction that releases mud and crud. Temperature Rating: -40 &amp#176F. Imported. Measurements: Weight: 1 lb 10 oz Circumference: 14 in Shaft: 9 in Product measurements were taken using size 7, width B - Medium. Please note that measurements may vary by size. Weight of footwear is based on single item, not the pair. The Bogs Classic Ultra Mid snow boot will make sure you will be prepared this winter with its protective comfort and long-lasting durability. 100 percent waterproof, warm, and comfortable. Upper made from hand-lasted natural rubber laid over a 4-way stretch SBR/CR bootie. Internal midwedge with 7mm of rubber cushioning. Aegis antimicrobial contoured insole. Comfort rated from +50&amp#176F to -40&amp#176F. Siped self cleaning non-slip rubber outsole. Handles for easy entry. Imported. Measurements: Weight: 2 lbs 2 oz Circumference: 16 in Shaft: 10 in Product measurements were taken using size 10, width D - Medium. Please note that measurements may vary by size. Weight of footwear is based on single item, not the pair. 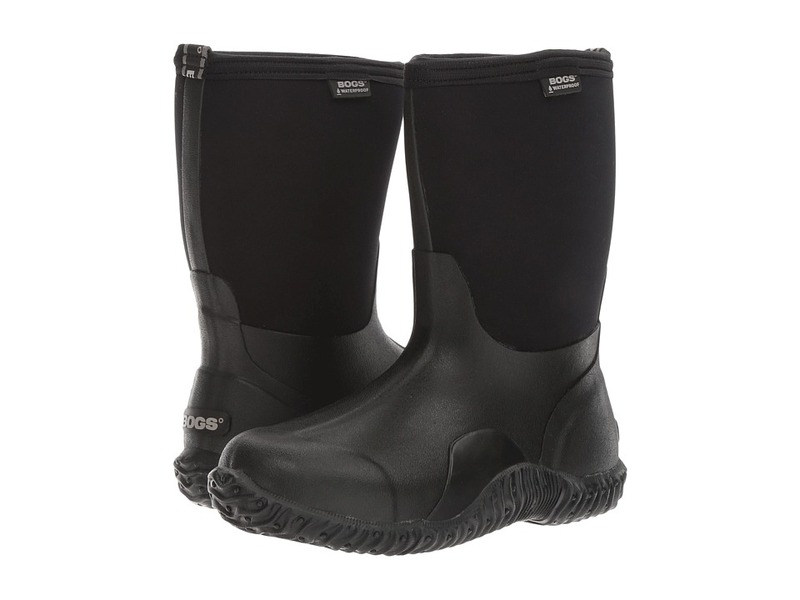 Be prepared this winter with the protective and durable work boot by Bogs. 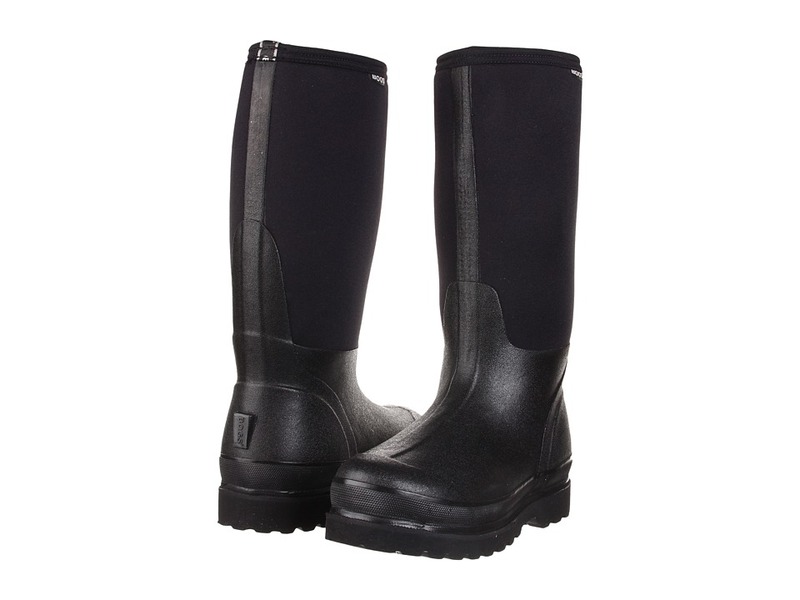 100 percent waterproof, warm and comfortable. Upper made from durable hand-lasted natural rubber laid over a four-way stretch inner bootie. Constructed with 7mm waterproof Neo-Tech insulation for protective warmth. Easy pull-on handles. Internal midwedge with rubber sponge cushioning. Aegis antimicrobial contoured insole for added comfort and a fresh foot envrionment. Siped self-cleaning non-slip rubber outsole. Comfort rated from temperate to -40&amp#176F. Imported. Measurements: Weight: 2 lbs 4 oz Circumference: 17 in Shaft: 15 in Product measurements were taken using size 8, width D - Medium. Please note that measurements may vary by size. Weight of footwear is based on single item, not the pair. 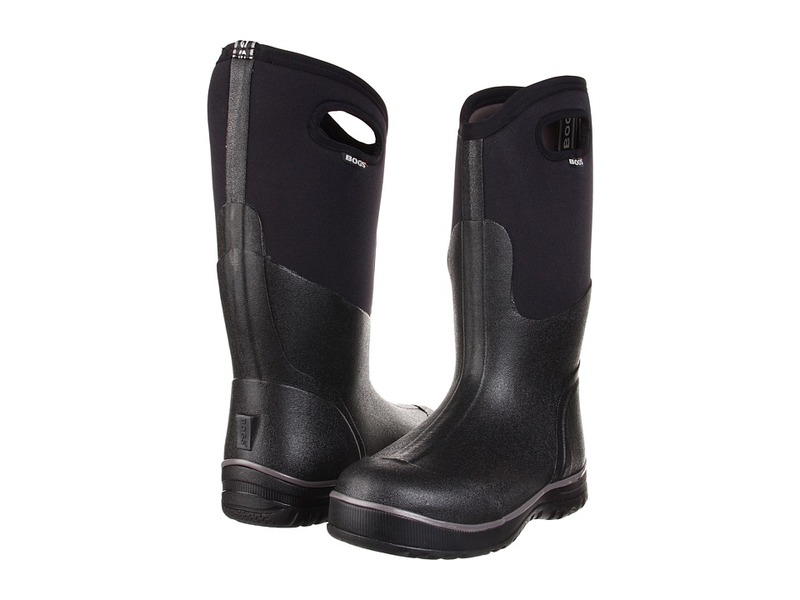 The waterproof protection and superior cushioning of the Bogs Rancher Forge Steel Toe work boot makes it ideal for outdoor activities in both fair and inclement weather. Style numbers: 69172 (Black). 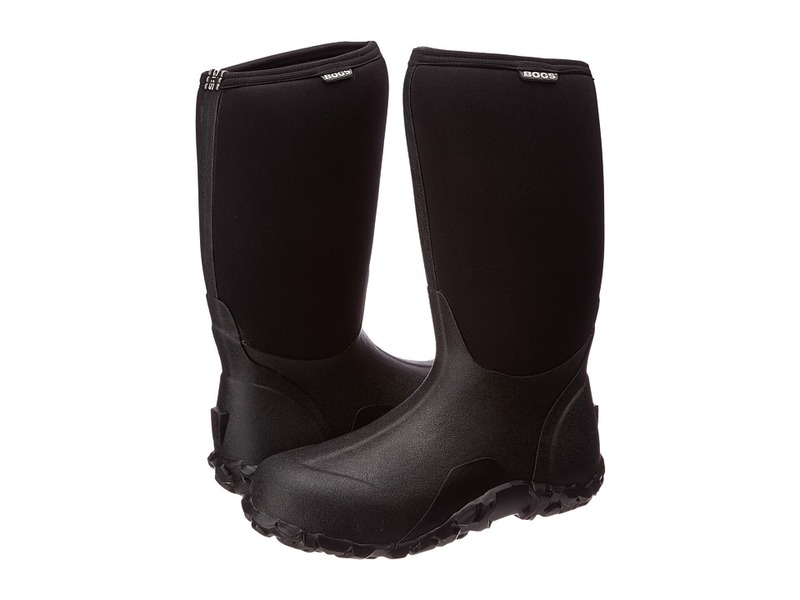 Hand-lasted natural rubber upper laid over a four-way stretch bootie made of flexible 7mm Neo-Tech insulation. 100 percent waterproof. Aegis antimicrobial contoured insole offers a odor-free foot environment. Steel toe design for maximum protection. Non-marking rubber outsole is slip and chemical resistant. Comfort rated to -40&amp#176F or sub zero conditions. Steel toe meets ASTM 1677, F2913-11, and D471 2010 slip and chemical-resistance standards. Steel toe meets ASTM F2413-11 and F2412-11 standards. Imported. Measurements: Heel Height: 1 in Weight: 3 lbs 5 oz Circumference: 16 1 2 in Shaft: 14 1 4 in Platform Height: 1 2 in Product measurements were taken using size 8, width D - Medium. Please note that measurements may vary by size. Weight of footwear is based on single item, not the pair. Miniature surfer style bootie for babies. Adjustable hook and loop opening for easy on/off. Suede upper with Micron 20 100 percent Merino wool lining that will keep feet warm and dry. Reinforced dual stitched upper. Cushioned insole and lightweight midsole for all day comfort. Durable and flexible EVA outsole. Measurements: Heel Height: 1 4 in Weight: 2 oz Circumference: 9 in Shaft: 3 in Platform Height: 1 4 in Product measurements were taken using size SM (0-6 Months), width M. Please note that measurements may vary by size. Weight of footwear is based on single item, not the pair.